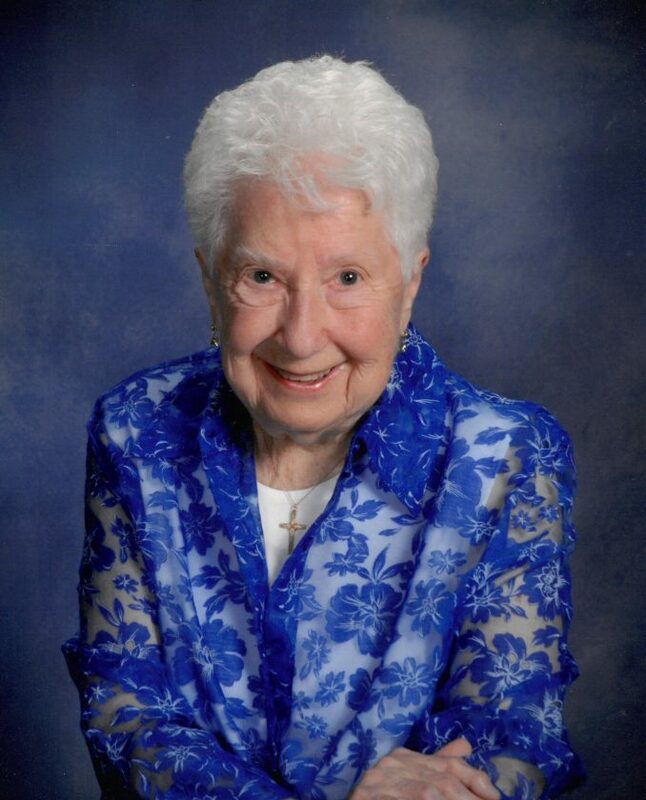 WELLS — Florence “Flossie” Christiansen, age 97, of Wells, passed away at home on Thursday, April 11, 2019. Florence was born Dec. 19, 1921 in Birch Run, Mich., the daughter of Daniel and Elizabeth (Fischhaber) Knieling. Florence is survived by her daughter, Amber (Les) Delvaux of Wells; step-daughter, Greta (the late William) Strong of Saginaw, Mich.; grandson, Tom (Wendy) Jones; step-grandson, Bob Strong; great-grandchildren, Gabriella, Alexis and Logan Jones; step-great-grandchild, Willa Strong, and numerous nieces and nephews. She was preceded in death by her husband Randolph in 1997; her parents; brothers, Herman, Carl, Norman and Walter; sisters, Alma Letzkus, Linda Fox, Margaret LaMountain and Emma Gugel; and a step-grandson, Will Strong. The family will receive friends on Monday, April 15 from 3 to 6 p.m. at Our Savior Lutheran Church in Wells. Funeral services will follow at 6 p.m. with Pastor Al Schubert officiating. A luncheon will be served in the fellowship hall. Florence will be laid to rest in the Gardens of Rest Cemetery in Wells.